Size: 1.25"W x 50"L in black color. 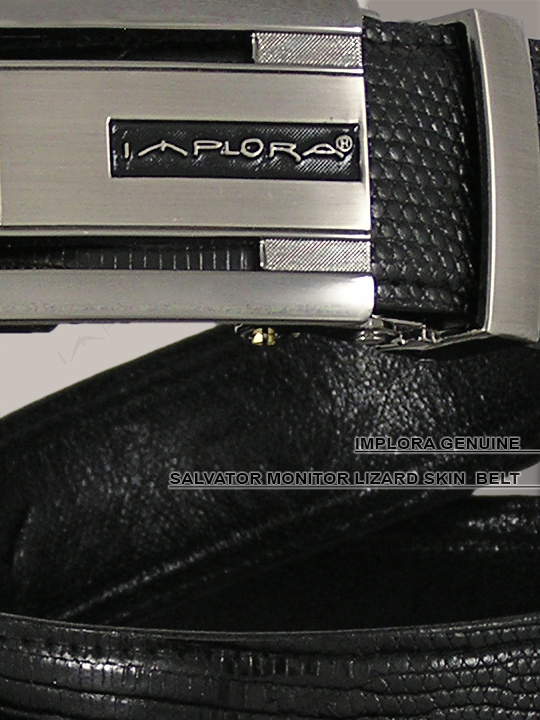 Genuine Salvator monitor lizard skin exterior and leather backing. Adjustable buckle to fit any waist measurement. 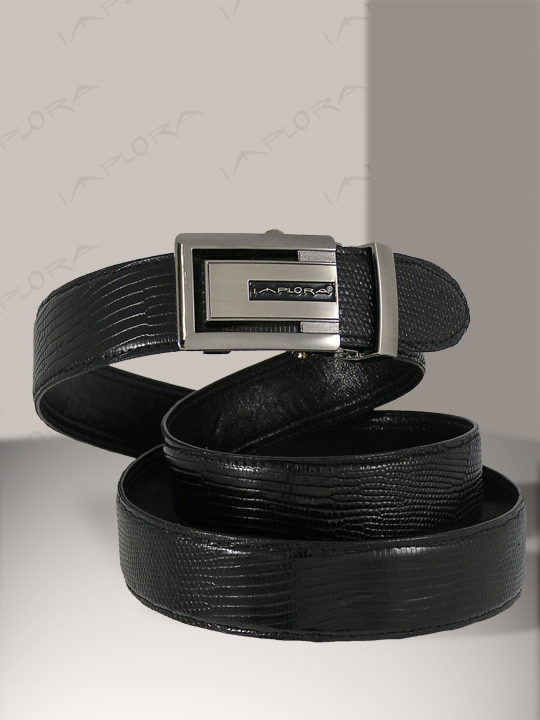 Belt can be easily shortened to suit different waist measurements. Since each belt is made of genuine lizard skin, none of the patterns are exactly the same.